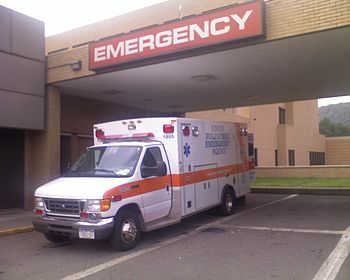 The American College of Emergency Physicians (ACEP) released its Report Card last week measuring conditions and policies under which emergency care is delivered–unfortunately, the news is not so good. The nation earned a D+. In 2009, the last time ACEP’s report card was issued, America earned a C -. Dr. Alex Rosenau, President of ACEP, explained that the lower grade in 2014 reflects a misguided focus on cutting funding and resources for emergency departments because of the popular but erroneous view that emergency care is expensive–even though it represents less than 5 percent of overall US healthcare expenditures. “Congress and President Obama must make it a priority to strengthen the emergency medical care system”, said Rosenau. “There were more than 130 million emergency visits in 2010, or 247 visits per minute”. “People are in need, but conditions in our nation have deteriorated since the 2009 Report Card due to the lack of policymaker action at the state and national levels—the Report Card is a call to action”, added Rosenau. As explained by Rosenau, the continued failure of state and national policies is jeopardizing patients treated in emergency departments. The Report Card also predicts increased utilization for emergency departments under the Affordable Care Act (ACA), while also describing the negative effects of shrinking resources and increased demand. Dr. Jon Mark Hirshon, chair of the task force which drafted the Report Card, explains that the national grade for Access to Emergency Care has not shown improvement since 2009. “There were 19 more hospital closures in 2011, and psychiatric care beds have fallen significantly, despite increasing demand. People are increasingly reliant on emergency care, and primary physicians are advising their patients to go to the emergency department after hours to receive complex diagnostic work ups and to facilitate admissions for acutely ill patients”, Hirshon added. It is important to emphasize that the Report Card measures the conditions and policies under which emergency care is delivered—not the quality of care provided by hospitals and emergency providers. ACEP’s Report Card has 136 measures in five categories: Access to Emergency Care, Quality and Patient Safety, Medical Liability Environment, Public Health and Injury Prevention, and Disaster Preparedness. The District of Columbia ranked first this year with a B-, pulling ahead of Massachusetts which held the top spot in the 2009 Report Card. Wyoming ranked dead last receiving an F.
The bottom line, according to Dr. Hirshon, is that the Report Card reflects the fact that hospitals are not receiving enough support to deliver efficient as well as effective care. Despite increased demand, there were 19 additional hospital closures in 2011. And with psychiatric and hospital inpatient beds declining as well, the system is compromising the care and safety of patients in the emergency department. Based on findings of the Report Card, states continue to face many key issues such as workforce shortages, limited hospital capacity to meet the needs of patients, prolonged boarding periods for admitted patients (potentially compromising ongoing care), lengthy door to provider times, as well as prolonged emergency department wait times, not to mention increasing financial barriers to accessing care. Twenty-one states received F’s in the category of Access to Emergency Care. In the Quality and Patient Safety Category, ten states received F’s, while in the Medical Liability category, ten states received F’s. In addition, ten states also received an F in the category of Public Health and Injury Prevention. Even more concerning is that 13 states received F’s in the category of Disaster Preparedness: Delaware, Hawaii, Idaho, Illinois, Indiana, Montana, Maine, Utah, South Carolina, Vermont, Washington state, Wyoming as well as Wisconsin. “Everyone hopes that their communities would preform as well as Boston did after the Marathon bombing, yet nearly half the states received either D’s or F’s for Disaster Preparedness, which is alarming” said Rosenau. “While there has been increased state and federal focus on disaster preparedness, there is great variability among states in terms of planning and response capacity”. Fund the Workforce Commission, as called for by the ACA to evaluate shortages of physicians, nurses as well as other healthcare providers. Pass the “Healthcare Safety Net Enhancement Act of 2013”, providing limited liability protections to emergency and on-call physicians who perform services mandated by EMTALA, which requires emergency patients to be screened and treated, regardless of their ability to pay/insurance status. Withhold federal funds to states that do not support key safety legislation, such as .08 blood alcohol laws, and mandatory motorcycle helmet laws.